lawn mowing & lawn care services! Sign up for a free listing on GetMowed.com, the online directory of lawn care, grounds, and landscaping professionals in the USA! 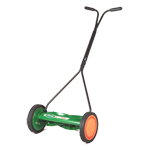 GetMowed.com can create a professional website for your lawn care or landscaping business or you can choose a standard lawn care website and set up the site yourself quickly and easily using our content management system (makes it easy to add pages, edit content, add photos, videos, etc). Research has shown that more and people do the vast majority of their research into the products and services they are interested in on the Internet. Although word-of-mouth and traditional advertising still play important parts, almost every purchase now begins with an Internet investigation. Most of these investigations start with or make use of search engines, such as Google, Bing, Yahoo, and others. A great part of attracting customers to your site is to tailor your site to the search terms that your customers are looking for, so that these searches will land your customers at your site instead of on irrelevant content - or worse, your competitors' sites. When we build a site for you, we ensure that your site is optimized to capture this traffic, and put the people that need your services in contact with you! This is the reason that we perform an SEO (Search Engine Optimization) audit on every page we build! If you are interested in having us build a site for you, or overhaul your existing site, please contact us.